Working cowboys spend quite a bit of time alone; whether it’s doing their morning chores, mending fences, or doctoring their cattle. They have ample opportunities to think about “things,” good and bad. You will find the “good” and the “bad” in this book, but walk away wanting to experience it all, maybe even call up and book a dude ranch out west! 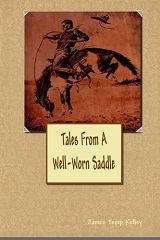 “Just plain folks” are some of the subjects cowboy poets write about says J.T. Kelley. He especially likes to write about those who made America, what it was, and what it is today–the cowboys, farmers and Native Americans, with all of their trials and tribulations, their “moments” of greatness, and their moments of despair. He also writes songs and stories. 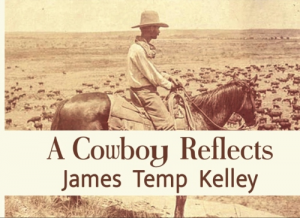 James Temp “Preacher” Kelley was born and raised in the Salt Grass area of the Texas Gulf Coast near Houston, Texas. 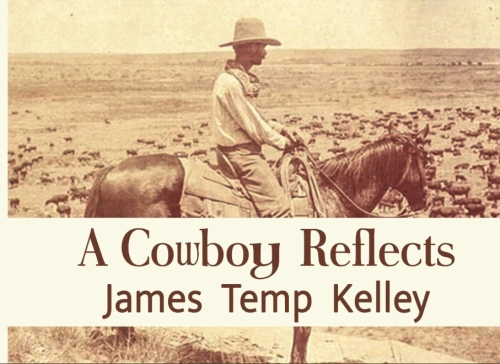 It was his rearing between this area of Texas and his grandparents’ farm in the central part of the state that he started developing into the one thing that he most wanted most to be, a cowboy. Now he documents his life in poetry, songs, and short stories.